Applications are invited from suitably qualified candidates for admission to BOWEN UNIVERSITY degree programmes for the 2017/2018 academic session. (including Mathematics and English) must be obtained at only one sitting. (g) All applicants will be required to go through Bowen University Screening Exercise. (c) The Interim Joint Matriculation Board (IJMB),Joint Universities Preliminary Examination Board (JUPEB) or Cambridge moderated School of Basic Studies at acceptable grade levels. (e) HND holders may be admitted to 200 Level or 300 Level depending on the regulation guiding admission into each department / programme. For Medicine and Surgery, Nursing and Physiotherapy programmes, the five (5) O’Level credits (including Mathematics and English) must be obtained at one sitting. (d) For Nursing Science, candidates with RN/SRN plus five (5) O’ level credits including English Language and Mathematics can apply and are admitted to 300 level. Candidates must possess five O' Level credits to include: English Language, Mathematics, Biology/Agricultural Science/ Fisheries/Animal Husbandry, Chemistry and one of Physics, Geography, Economics, Civic Education and Food and Nutrition. (i) All applicants are required to have credits in at least five (5) O'Level subjects at SSCE, GCE, NECO, or approved equivalent. (ii) The five (5) credits must include English language, Mathematics and 3 other credits to meet specific departmental requirements. (iii) The five credits must be obtained at not more than two sittings. (iv) Candidates awaiting results may also apply. (i) All applicants are required to have credits in at least five O'Level (5) subjects at SSCE, GCE, NECO, or approved equivalent. (ii) The five (5) credits must include English language and other specific departmental requirements (iii) The five credits must be obtained at not more than two sittings. The five O'Level credits to include English Language, Literature- in-English plus at least one other Arts subject. (i) At least two Advanced Level Passes or equivalents in Government and any one other Arts or Social Science subject. The five O'Level credits to include English Language, Literature-in-English and three other Arts or Social Science subjects. The five O'Level Credits to include English Language plus three other Arts or Social Science subjects. A recognized certificate in Music from approved institution will be an advantage. ii. NCE/ND or approved equivalent in relevant subjects or ABRSM London Grade viii. The five O'Level credits must include English Language, Christian/Islamic Religious Studies, two relevant Arts/Social Science subjects and any other one. Candidates must have five (5) O’ Level credits to include: English Language, Literature in English and three other subjects obtained at not more than two sittings. A pass in Mathematics is acceptable. English Language, Literature in English and any two (2) other Arts or Social Science subjects. 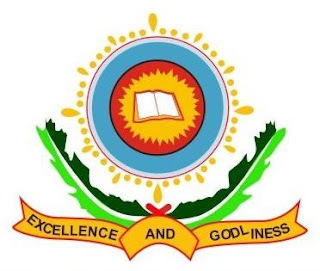 Candidates seeking admission to the Faculty of Science and Science Education must possess a minimum of five (5) Ordinary Level Credit Passes in English Language and Mathematics in addition to specific departmental requirements. (i) At least any two GCE Advanced Level passes in Botany, Zoology, Biology or Chemistry. (iii) HND holders must possess a minimum of Lower Credit for admission to 300 Level for the Plant Biology and Zoology programmes. English Language, Mathematics and any other two relevant subjects. The five O’ Level subjects to include English Language, Mathematics, Physics,and any two from Chemistry, Biology/Agricultural Science, Geography, Technical Drawing, Further Mathematics and Food and Nutrition, Basic Electricity, Basic Electronics and Computer Studies. Candidates seeking admission to the Faculty of Social and Management Sciences must possess a minimum of five (5) Ordinary Level Credit Passes to include English Language and Mathematics in addition to specific departmental requirements. (ii) IJMB/JUPEB/NCE/ND/ATS of ICAN or approved equivalent. The five ‘O’ Level credits to include English Language, Mathematics, any two other Social Science subjects and any other subject. (i) At least two GCE Advanced Level Passesin relevant subjects. The five O’ Level Credits to include English Language, Mathematics, and at least (3) other subjects from general and Business Subject categories. The five O’ Levelcredits to include English Language, Mathematics and at least one from Economics, Geography, Government or History and any other two subjects from Commerce, Financial Accounting, Civic Education, Bookkeeping and any other subject. (iii) In addition, candidates must satisfy the O’ Level requirements as stated in(iia) above. • Click on “Apply Now” under the UNDERGRADUATE ADMISSION sub menu. This takes you to the admission guide. Go through it and click on “CLICK HERE TO APPLY” at the bottom of the page, to create an identity (Pre-Registration). • After the pre-registration, generate a payment invoice with your unique transaction ID for the sum of Ten thousand Naira (N10, 000) only as application form fee. • Payment for on-line forms through Banks – After generating a unique transaction ID through the University website, applicants may proceed to any of the following banks with their transaction ID to make payments: Skye Bank, Sterling Bank, Diamond Bank, First Bank, Guarantee Trust Bank and Zenith Bank Plc. • On-Line Application Forms are also available for sale at the Bowen Microfinance Bank, Baptist Academy Compound, Obanikoro, Lagos. Contact: 08034955444, 08023672806, 08062435570. N10, 000.00 (Ten thousand naira) only in bank draft payable to Bowen University, Iwo from any of the following banks: Skye Bank Plc, Diamond Bank Plc, United Bank For Africa (UBA), Guarantee Trust Bank, Sterling Bank Plc and Zenith Bank Plc. • Candidates must indicate their names and addresses at the back of the Bank Draft. ix) Imo Baptist Conference Secretariat, 120 Wetheral Road, Owerri, Imo State. 07037919943.
xvi) Delta State Baptist Conference, Amukpe, Sapele, Delta State. 08057257907.
a. Baptist Academy, Obanikoro, Lagos for candidates who have chosen Lagos as their preferred Screening Exercise Centre. b. Baptist Building, Oke-Bola, Ibadan for candidates who have chosen Bowen University, Iwo as their preferred Screening Exercise Centre. c. Bowen University, Iwo for candidates who have chosen Bowen University, Iwo as their preferred Screening Exercise Centre. d. Bowen University Pre-Degree Programme Centre, Ilobu Road, Osogbo for candidates who have chosen Osogbo as their preferred Screening Exercise Centre. e. Baptist Conference, Kawo, Kaduna for candidates who have chosen Kaduna as their preferred Screening Exercise Centre. f. Baptist College of Theology Benin, NTA Road, Benin-City for candidates who have chosen Benin-City as their preferred Screening Exercise Centre. Port- Harcourt for candidates who have chosen Port-Harcourt as their preferred Screening Exercise Centre. h. First Baptist Church, Opp. NNPC Quarters, Area 11, Garki, Abuja for candidates who have chosen Abuja as their preferred Screening Exercise Centre. i. Kwara Baptist Conference Secretariat, Afon Road, Ganmo, Kwara State for candidates who have chosen Ilorin as their preferred Screening Exercise Centre. j. Ondo State Baptist Secretariat, Block 001, Plot 7 & 8, Alagbaka GRA Extension, Adjacent Freeman Petrol Station, Oba Ile Road, Akure, Ondo State for candidates who have chosen Akure as their preferred Screening Exercise Centre. k. Imo Baptist Conference Secretariat, 120 Wetheral Road, Owerri for candidates who have chosen Obinze- Owerri as their preferred Screening Exercise Centre. l. Ogun State Baptist Conference Secretariat, Baptist Mission Compound, Idi-Aba, Abeokuta, for candidates who have chosen Abeokuta as their preferred Screening Exercise Centre. m. Providence Baptist Church, 8, Baptist Avenue, Off Edet Akpan Lane (4-Lane), Itiam Edem Akai, Uyo, Akwa-Ibom State. 08039102716. (iii) Baptist Model Secondary School, Obinze, Along Owerri/Port-Harcourt Road, Owerri, Imo State. (iv) Fullness of God Nursery and Primary School, Ijapo Estate, Akure. (vii) Bowen University Pre-Degree Programme Centre, Osogbo. (viii) Faith Baptist College,#1 Rumuaparaeli Street, Beside Holy Rosary Secondary School, Old GRA Port-Harcourt, Rivers State. (ix) First Baptist Church, Area 11, Garki, Abuja. (x) Union Baptist Grammar School, Ga-Akanbi, Ilorin, Kwara State.